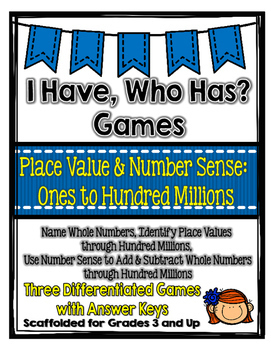 There are 3 differentiated I Have, Who Has Games for Place Value & Number Sense for you to use in many different ways. 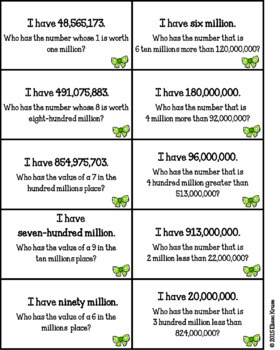 Students will practice several skills that are related to whole number place value. Not each game has numbers through hundred millions. They are scaffolded so that game 1 is the ones through thousands, game 2 is the thousands period, and game 3 is the millions period. You can use these across grade levels, as there are different skills required in each game. 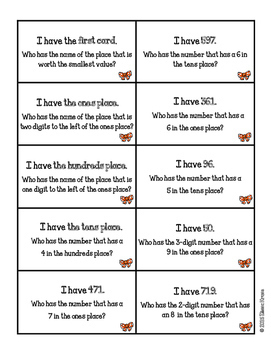 This is a great way to extend content for students who have mastered skills already or to reteach and review. Because all of the games have a similar look and layout, you can easily have multiple games going at once without. Directions are the same for all three games, so students don’t have to learn a new set of rules if they “graduate” to the next game. 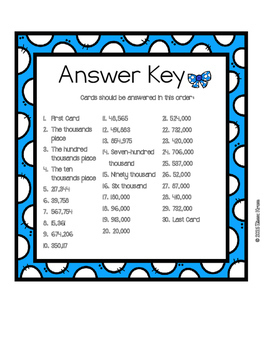 Each game includes an answer key so that students can check their own work if playing independently.